As part of the OpenNTF development contest sponsored by hedersoft, Olle Thalen has contributed a project called xLog - logger framework. Watch the mini video to see the project in action. "The purpose of this project is to provide a logging implementation which is easy to start using, but also configurable so it allows customizations. All logging is done via the apache commons Log interface, and logger objects are provided by a custom LogFactory implementation. 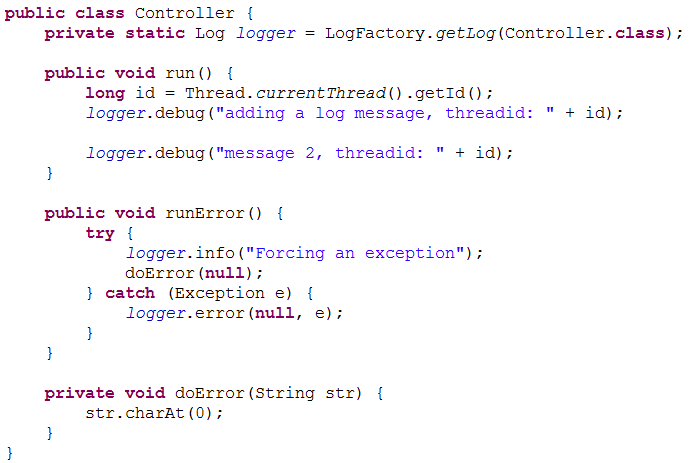 You can switch between different log appenders by changing one .properties file, keeping your log calls as they are. When logging methods are invoked log entries are saved in a queue, and the queue is processed by a phaseslistener after each request. It is also possible to configure the framework to delegate the logging process to a background thread, the thread implementation is based on the Eclipse jobs framework."